There are different parts present in our body and each of them plays a specific part. If we have to perform in a normal manner, then it is necessary that each and every body part is kept in proper condition. We should take care of the body. For this to happen, we should engage in good habits. There should be proper physical exercise so that our body is fit from the inside. But sometimes, due to awkward bending or some injury, we are not able to keep our body fully fit. For this, we need to consult a specialist. One of the common body problems occurs in the form of back pain. 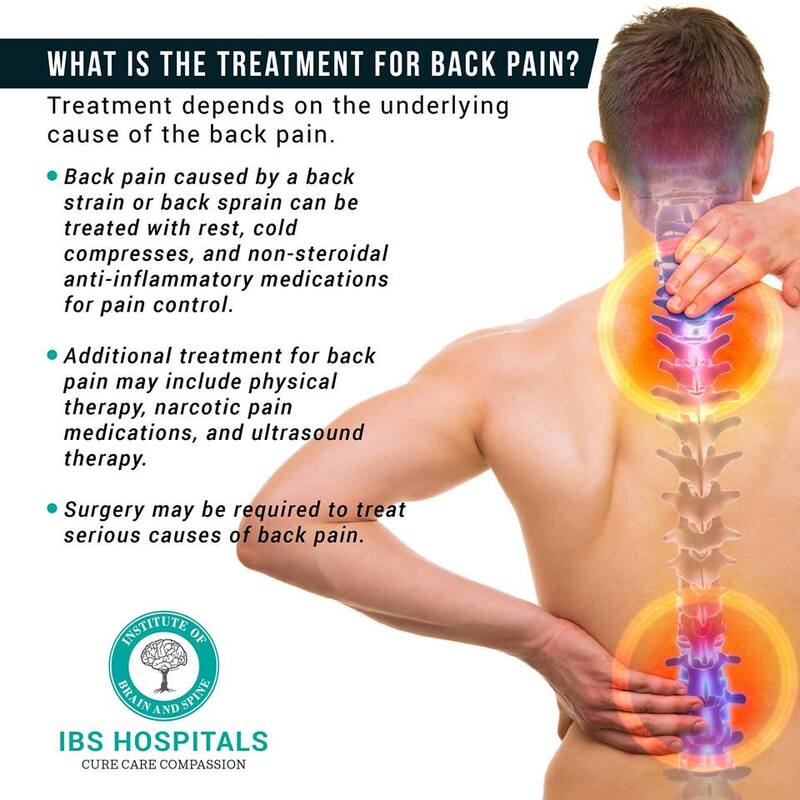 At IBS hospitals, you will get the best back pain treatment in Delhi. 1. Neck pain- it is also known as the pain of cervical which is faced in the neck but can happen in any part of the body. It is a very common problem with 2/3rd of the total population suffering from it at one point or another. Neck pain usually happens due to muscular tightness in both the neck and upper back. Our head is supported by the lower neck and upper back and neck pain is common in these areas. IBS will give you the best neck pain treatment in Delhi. 2. Middle back pain – middle back pain is also known as thoracic back pain is a type of pain that happens in the region of thoracic vertebrae. They are between the bottom of the neck and top of the lumbar spine. It is caused due to different reasons such as muscle strain which collapses, or some rare disease. Pain management strategies are required for serious and prolonged cases. 3. Lower back pain – it is the common and painful condition which affects the lower portion of the spine. Most of the lower back pain gets away in two to four weeks but there are complex cases such as slip disc which needs treatment. It is caused by an injury to a muscle or a ligament. Also there are some degenerative diseases which can cause this problem. 7. Physical exercise which are not done properly. Sleep disorders are something which is caused due to change in sleep patterns. These sleep patterns helps us in getting required sleep so that we can perform different jobs during our day time. Some of the common sleep disorders include sleep apnea, narcolepsy, hypersomnia, cataplexy and sleeping sickness. At IBS, we specialize in identifying sleep related disorders and sleep disorder treatments that will give relief and improve the quality of life.